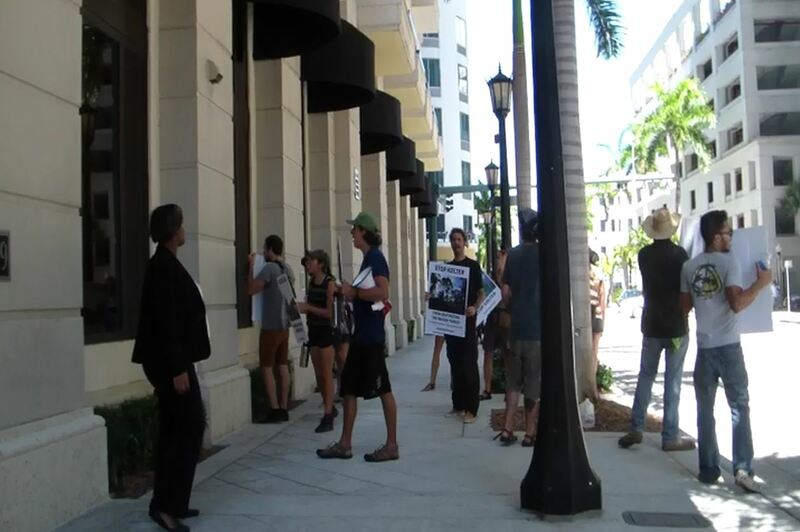 For nearly two hours yesterday, the streets of downtown West Palm Beach echoed with the cries of forest defenders, demanding that Kolter and their construction subsidiary, KAST, remove their machines of destruction from the Briger Forest, and spare wild species the pain and suffering of having their habitat and families killed for needless development. About fifteen activists brought the noise to Kolter’s offices, chanting, banging pots, howling like wolves, and handing out flyers to neighbors and passerby. Despite Kolter’s attempts at intimidation—with security guards breaking glass, shoving protesters, and stealing signs and megaphones at last week’s protest—EEF! 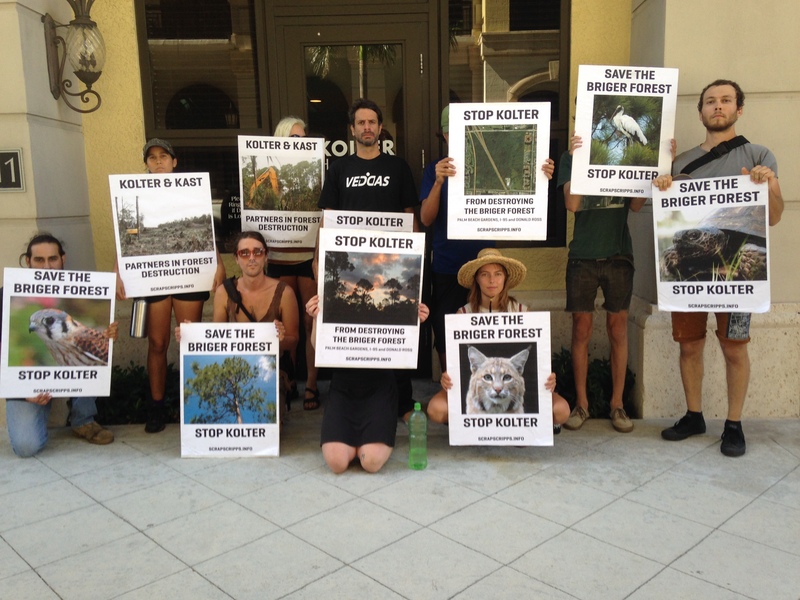 returned to Kolter’s offices yesterday to show that the company’s petty vandalism and outright thuggery won’t stop environmentalists from speaking out against the destruction of local forests. EEF! 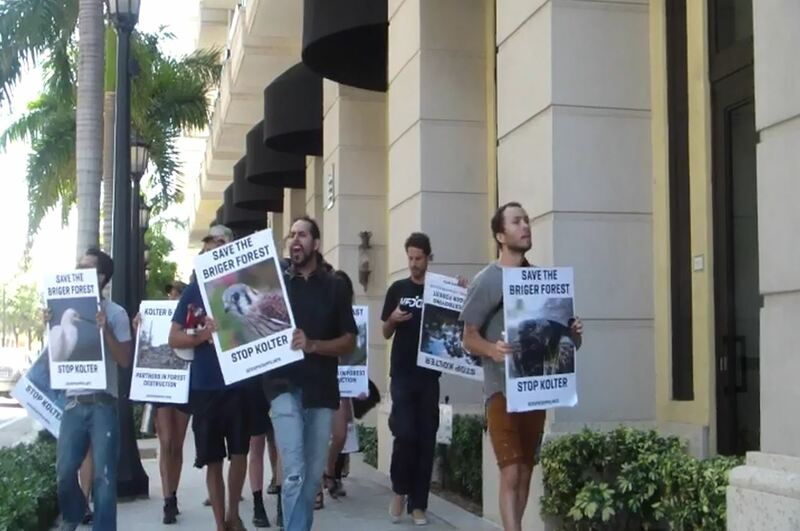 would like to send a special thank you to members of South Florida Smash HLS—a local anti-vivisection group—and VEDDAS—a Brazilian animal rights group—for joining us for today’s protest. Earth Liberation! Animal Liberation! Total Liberation!